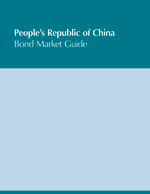 Published by the ASEAN+3 Bond Market Forum (ABMF) in collaboration with the ADB as its secretariat, the two-volume guide contains detailed information on bond market infrastructure; transaction flows, including information on matching, settlement cycles, and numbering; and the regulatory framework and market practices in the Peoples's Republic of China (PRC). Total corporate bond issuance in the fourth quarter of 2018 reached CNY2.2 trillion, up 11.9% q-o-q as market sentiment improved over expectations that the United States Federal Reserve would become more dovish. Yuan Gains Expected to Be Capped as China Pushes Against U.S.